When Radiohead so famously released their seventh studio album, In Rainbows, via a pay what you want model the internet erupted with glee. This was a game changer. For too long music consumers were cheated by the record labels, and now the power was back in the hands of the people. People could decide for themselves how much they wanted to pay for art, and for once the both the producer and the consumer were happy. This was the future of the music business, they said. When Radiohead released The King of Limbs, their follow up to In Rainbows on February 18th, the internet erupted once again. This time however, the chatter wasn’t about Radiohead’s innovation. It wasn’t about business models. It wasn’t about the music, either. The internet responded with countless parodies of Radiohead vocalist, Thom Yorke, dancing. In addition to the official video of “Lotus Flower,” where Yorke does his interpretive dance things in a desolate industrial setting, one can also find videos of Yorke moving to Guns N Roses, Montell Jordan, Fatboy Slim, MC Hammer, Ace of Base, Beyonce, Ric Astley, Phish, music from the TV show Benny Hill, and, well just about anything. Radiohead had become a meme. What does it mean when, quite arguably, the most important recording artist of our time goes from cultural innovator to an internet joke in one album? Is our culture doomed? Are we all assholes? Do we not appreciate art and the hard work involved in its production? Have we as human beings devolved to the point where we can no longer just listen to music for forty minutes without finding other means with which to amuse ourselves? Or, hold your breath, is The King of Limbs just not that interesting? 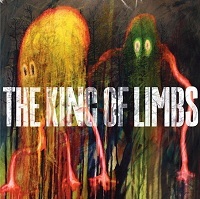 By design, The King of Limbs isn’t an album of strong impressions. 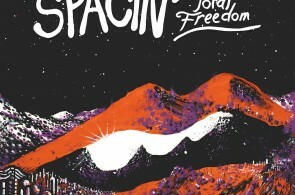 The mood is subdued, with layers of synthetic ambient sounds and skittish, scattered beats driving the bulk of these eight numbers. The mood is consistent, too. There are no highs and no lows, between opening number, “Bloom,” the single, “Lotus Flower,” and the closing number, “Separator.” It’s just one extended groove — A deep, multi-faceted, pleasant, and ultimately unmoving groove. It’s as if Radiohead have become that unfeeling stream of numbers they so feared fourteen years ago on OK Computer. Granted, if The King of Limbs was an album released by a group of unknowns, we’d be praising it as a work of promise — The musical acumen, the unquestioned studio skill, the lead-singer’s operatic control of his voice all point to a band on the verge of career-defining work. Although this is a Radiohead album, we can still talk of promise — We know this is a band of inscrutable genius, who when they decide to focus their creativity on songs, and not just movements or sounds, will produce another staggering album. The King of Limbs isn’t it. 6 out of 10 on The Rockometer.